New design may resemble current MacBook Air, but with thinner bezels and higher resolution. Apple is just a few months away from releasing a new, low-cost laptop, reports have claimed. According to Bloomberg, the new device will resemble the current MacBook Air, but it should have thinner bezels and should have a higher resolution. The screen itself will still be around 13 inches, and will be built from the Retina display. Bloomberg says this new MacBook Air will be built for people with a tighter budget, as well as schools that often buy these devices in larger numbers. The release date is anyone’s guess, but the media are speculating it might be in October, because that’s when Apple usually releases new Macs. Later this year, Apple is apparently planning to release three new iPhones, some Apple Watches with larger screens and new iPad Pros. 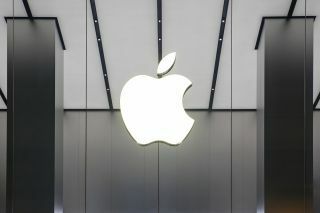 Apple has not commented on the report, which also claimed that the company is planning to upgrade the Mac Mini, another lower-cost device. Mac Mini are mostly used by developers, people in need of home media centres and server farm managers. The new version should see new storage and processing options, and it will probably be somewhat more expensive than the last iteration. MacOS Mojave, the upcoming fifteenth major release of macOS, is also on the cards. Apparently, it will have new file sorting features, and will be capable of running iPad apps. The MacBook Pro might be coming next year.